Results in just 10 minutes, so convenient! 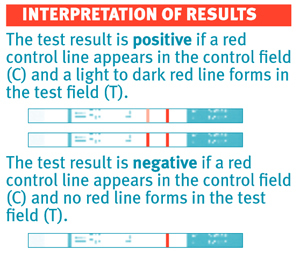 Gluten intolerance testing kit for easy home use - take this test now and you could live a healthier tomorrow! Biotech Biocard Celiac Test is a rapid and reliable home test for the detection of celiac disease from a fingertip blood sample. Results are identified in just 10 minutes and are as reliable as hospital blood tests (96%). 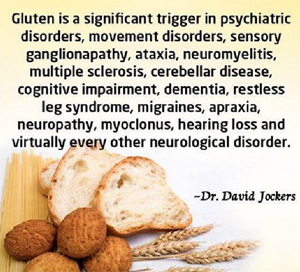 Celiac disease is intolerance to gluten; a protein found in wheat, rye and barley. What is gluten sensitivity (Celiac disease) gluten intolerance, and what are gluten problems? In short, Celiac disease is a lifelong condition which if left undiagnosed and untreated exposes you to an increased risk of developing osteoporosis, infertility and cancer. If you have celiac disease, the presence of gluten in your diet causes your body’s immune system to attack the tiny, finger like projections (villi) which line your small intestine. In celiac disease these villi become inflamed and then flattened causing a reduction in the absorption of essential nutrients from your food such as calcium and iron, which leads to a wide range of symptoms. Left undiagnosed and untreated there is an increased risk of infertility, osteoporosis and intestinal cancer. If you are diagnosed with Celiac disease, early screening of your children, siblings, and parents is important, as their risk increases too.